They do such a good job on pedicures. Everything here always looks clean, bright & fresh. Plus, the customer service is great! Definitely, recommend. My experience here today was great. They were welcoming and took the time in making my nails look fabulous. It's great that they cleaned up everything after each customer which I like. Definitely, recommend! From the moment I walk in I feel welcomed. 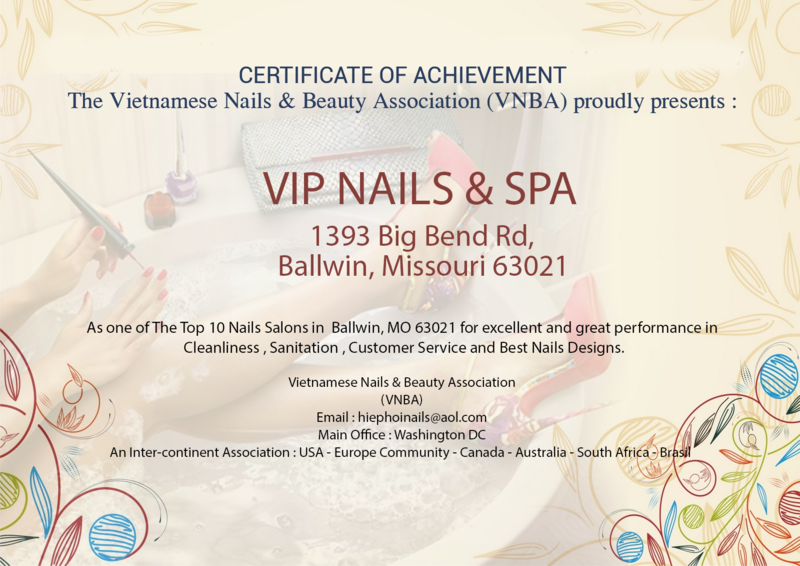 The staff is courteous and professional at VIP Nails & Spa. I usually get the powder for my nails & tried it at other salons, but no other compares to them. Also, the atmosphere is very tranquil & relaxing. I always feel re-energize when I leave. This place sure knows how to hustle and provide excellent service effortlessly! I was greeted when I arrived, seated and the tech worked right away and did a flawless job! From shaping, trimming and polishing my nails. It was absolutely perfect!